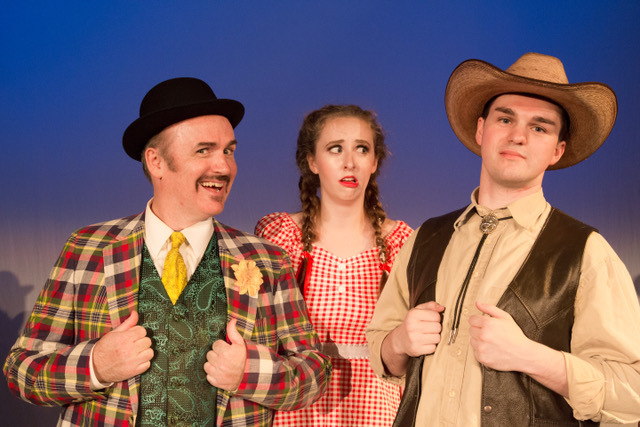 Our 2017-18 theatrical season opens with Rodgers & Hammerstein’s OKLAHOMA! The musical score from this production is one of the most beloved of all time. The performances are scheduled for September 15-16, 22-23 at 7:30 pm and 2pm on September 17, 24 on our main stage. Rodgers & Hammerstein's first collaboration remains, in many ways, their most innovative, having set the standards and established the rules of musical theatre still being followed today. Set in a Western Indian territory just after the turn of the century, there is the high-spirited rivalry between the local farmers and cowboys. There's a box social coming up, and Curly (Chase Tomberlin of Brunswick) asks Laurey (Sharon Henderson of Gardiner) if she'll be his date. Trouble is, Laurey thinks he's waited too long, and in a fit of pique accepts an offer from the boorish Jud (Iver McLeod of Bath) instead. Meanwhile, Laurey's friend Ado Annie (Caitlin Paul of Pittson) is also torn between two men: a cowboy named Will (Garret Coffey of Bath) and a foreign peddler, Ali Hakim (Rich Ellis of Brunswick). Both women struggle to know their own hearts before it's too late. 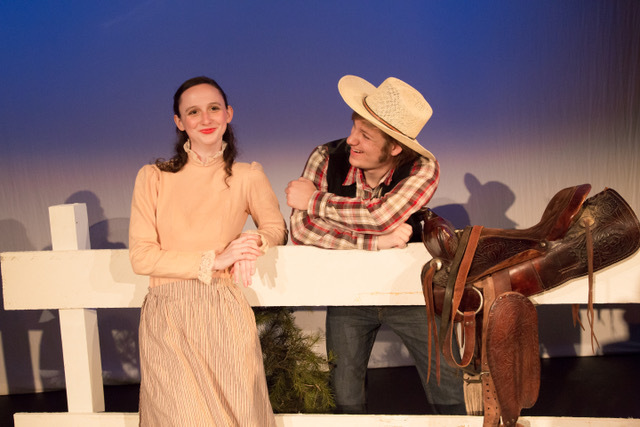 The wild west provides the colorful background against which Curly, a handsome cowboy, and Laurey, a winsome farm girl, play out their love story. Although the road to true love never runs smooth, with these two headstrong romantics holding the reins, love's journey is as bumpy as a surrey ride down a country road. Under the direction of Thom Watson, music direction of Teresa Henderson and choreography of Ashley Steeves, the audience will have no doubt that they will succeed in making a new life together, and that this new life will begin in a brand-new state provides the ultimate climax to the triumphant OKLAHOMA!